These headphones feature sound isolation that helps clarify audio, a ferrite magnet that reinforces sound, and large, full-range drivers that deliver powerful audio, along with a built-in volume limiter to protect children’s hearing. This is an incredible thing. So many people have problems with their hearing when they are older because of them not being careful when they were a small child. I would choose the Hello Kitty headphones for my daughter. 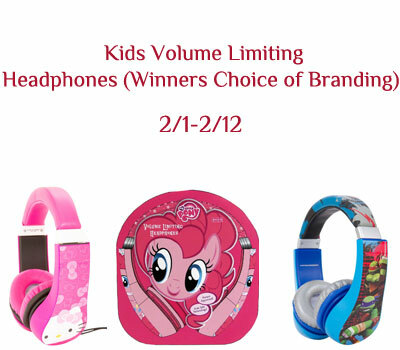 My lil girl would love the My Little Ponies headphones! Teenage Mutant Ninja Turtles headphones. I would choose the Teenage Mutant Ninja Turtles headphones.